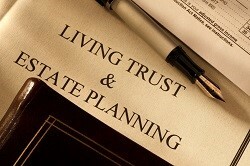 Memphis Estate planning is the process an individual takes to secure their property and final wishes after their death. It helps provide loved ones with the security they need and specifies the custody rights of minors. Watch a video of a Memphis Attorney explaining Memphis Estate Planning. Should I have a Memphis Estate Plan? If you do not have minor children, or are not concerned about your property distribution, and have no concerns about your health care treatment, then you do not need an estate plan. But if any of these issues concern you, you should have an estate plan. What are the Benefits of Memphis Estate Planning? When Should I Start My Memphis Plan? The only time you can prepare and implement a Memphis estate plan is while you are alive and have legal (mental) capacity to enter into a contract. If you are unable to manage your own affairs or suffer from some other disability which affects your legal capacity, your Memphis estate plan may be effectively challenged by those who assert that you lacked capacity at the time the documents were created, that you were subjected to fraud, coercion or undue influence during the creation and implementation of your plan. The best time to start a Memphis estate plan is now, while you have the capacity to do so. What Provisions Are Most Important? Trust for minors, with multiple distribution ages, if desired [often extending beyond age 25]. This avoids court appointed guardians and management oversight by court. Spendthrift provision—that can protect assets in trust from creditors of the non-grantor beneficiaries in certain circumstances, for example: divorce and car accident claims. Special Needs language—which can offer some protection of the Memphis trust assets from being consumed when a non-grantor beneficiary requires special medical care which government benefits might otherwise be available to pay. Guardianship provision— naming a guardian for minor children in the event both a husband and wife predecease a child. Executor/Trustee appointment— this element is crucial, in that this person or persons may well determine to what extent a minor and their guardian gets a distribution from trusts you establish under your will, as compared with having no such provisions, where the court must appoint fiduciaries and approve requests for expenditures. Enumerated powers of fiduciaries [executor/trustees] - crucial in light of the above provisions that certain powers be spelled out, in the event state statutes are changed. State and Federal Estate tax planning— makes use of both spouses available credit shelter for both state inheritance and/or federal estate tax amounts at their death, not just the marital deduction which only postpones taxes. Income in Respect of a Decedent [“IRD”] planning— certain assets such as IRAs and retirement plan balances are ordinary income, taxable to the estate at death [if payable to a non-spouse beneficiary], proper planning can allow income [and the tax] to be recognized over time, rather than recognizing the income tax at or near death. Are There Other Instruments I Should Be Aware Of? The most common instrument used in Memphis estate planning other than wills are Revocable Trusts [or “Living Trusts”] and Irrevocable Trusts or Irrevocable Life Insurance Trusts [“ILITs”]. These instruments can speed distribution of assets to heirs, provide privacy, and avoid Memphis probate costs and delays.